Padi Padi Leche Manasu (2018) Surya (Sharwanand) loves Vaishali (Sai Pallavi) so much and so is Vaishali. Both decides to take their relationship forward but in no time, Surya announces a breakup and gives no reason. Why did he take such decision? What happens in the end? How did both get United again? Forms the story of the movie. 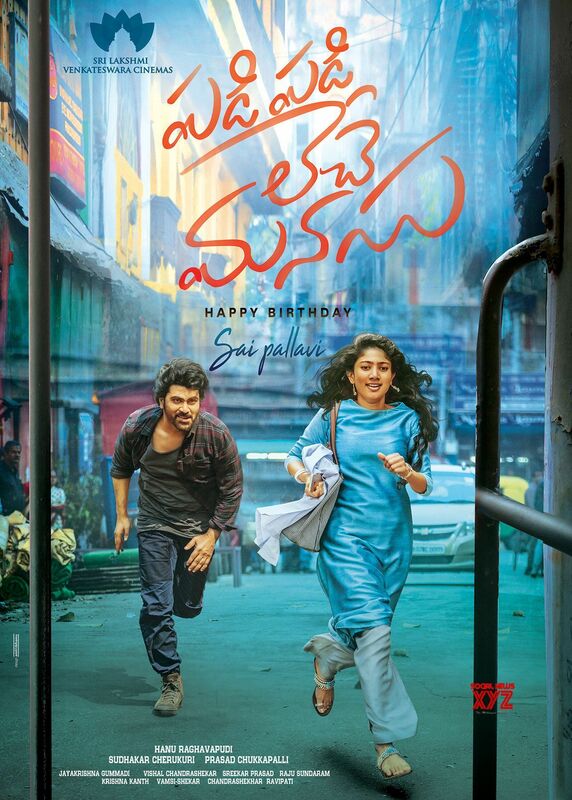 PADI PADI LECHE MANASU, saipallavi and sharwanandh was together act in a love story ,movie was good and outstanding way of screenplay ,movie feels a pure love story ,and y the lovers have some problems and make big get both breakuping ,is the movie so in all these youth will connect well for this movie so movie was good . a romantic cute love story seen in the last days of this year ,sharwanandh and sai pallavi was getogether act and they make screen beautiful with there attachment ,both love each othe sudeen day break up ,here what is the problem and how they get solved and back together is the movie ,situation songs and screenplay make movie comfortable to watch ,beautiful romantic entertainer . padi padi leche manasu ,sharwanandh as surya a local boy and very attitude perosn,here vaishali as sai pallavi she was a doctor ,surya loved and teases vaishali ,to feel his love ,and finally both are in love ,sudeen day surya was tell break up ,y he tell watch on big screen,over all movie was a good feel and love track ,songs also make movie good feel ,so go and watch on big screen . sharwanadh was back with cute romantic entertainer ,here movie is an nice feel and good way,director hanu make movie well and all trailers and songs make good impression to watch so wait and watch on big screen. On The Flipside, Confusing/conflicting Behaviour Of Heroine Character Makes Us Very Uncomfortable In Second..
PPLM' Comes With Excellent Visuals And Soothing Music. The Background Score Is Elevating. The Performances.. Despite The Good Efforts From The Lead Pair And Couple Of Good Songs, “Padi Padi Leche Manasu” Turns Out..
Padi Padi Leche Manasu’ Is Boring. After A Great Start, The Movie Turns Meh. In Total, PPLM Suffered With Redundant Second Half. Had Hanu Properly Dealt The Second Half Like That Of..
Padi Padi Leche Manasu` (PPLM) Is The Most Commercially Driven Film Made By Hanu R So Far In His Short.. There Are Beautiful Romantic Moments In Hanu Raghavapudi’s Story. He Has Written The Comedy Scenes Without..
Padi Padi Leche Manasu Movie Team..
Padi Padi Leche Manasu Pre Release..